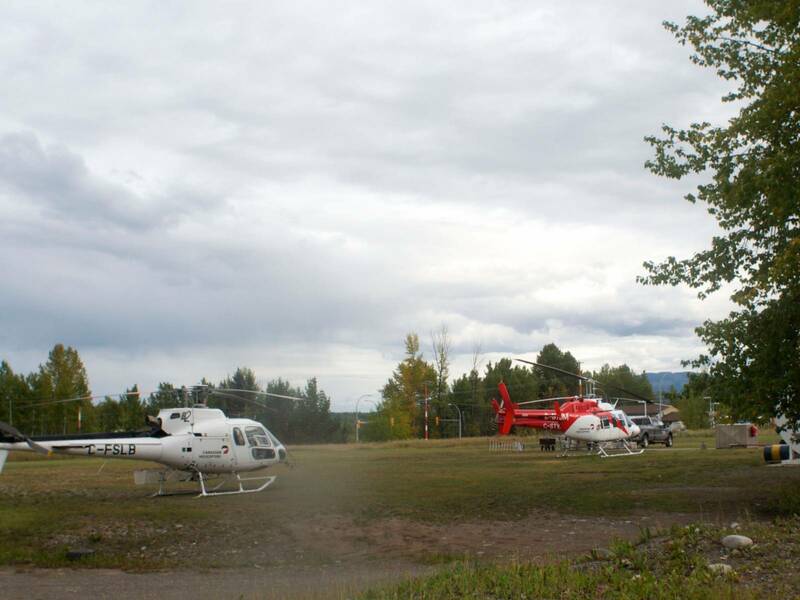 A TransCanada work crew brought by helicopter to the traditional territories of the Unist’ot’en clan in B.C. was instructed to cease work and served eviction notices at approximately 11 a.m. PST Saturday morning. The eviction letters, issued by the Unist’ot’en clan, warn the companies they “are not permitted to land on Unist’ot’en territory.” They were initially sent to the companies via fax in June. “We're just from Coastal GasLink doing non-invasive testing,” said a man who identified himself as Jim, a security contractor, when confronted by Unist’ot’en clan spokesperson Freda Huson. Coastal GasLink is a subsidiary of TransCanada, which is undertaking preliminary work for a 670-kilometre hydraulically fractured gas pipeline that would connect B.C.’s fracking fields with an export facility on the Pacific coast. For the last six years, the Unist’ot’en clan of the Wet’suwet’en First Nation have occupied their traditional territories, controlling access to decommissioned logging roads and building a permanent community directly in the path of pipelines proposed by Chevron, Enbridge, and TransCanada. The eviction letters issued to the pipeline companies explain that the principle of free, prior, and informed consent means that companies must obtain written consent before doing any work. They also list the hereditary chiefs who must collectively provide consent under the Wet’suwet’en peoples' traditional system of governance. Sixteen First Nations bands have signed deals with pipeline companies, and four chiefs issued a press release stating that the Unist’ot’en do not represent them or their interests. However, Wet’suwet’en hereditary chiefs, who were recognized by the Supreme Court of Canada as the land’s rightful Indigenous authority, have unanimously demonstrated opposition to pipelines. Like most First Nations in B.C., the Wet’suwet’en never relinquished their land to Canada by way of treaty, land sale, or surrender. Encounters between Unist’ot’en clan supporters and TransCanada contractors have become increasingly common since June, when the company began fieldwork throughout Wet’suwet’en territories. Several times, TransCanada workers have worn body cameras to record the interactions, posing scripted questions to obtain evidence they are being denied access to the land and asking repeatedly if there is any threat to their safety. “So are our crews safe to be here?” responded Jim, the security guard. “Yeah, you’re perfectly safe. Do I look like I’m trying to harm you?” Huson said. “No, not at all,” Jim replied. Within minutes the helicopter took off, following another helicopter which had set down nearby unnoticed. Both appearing to heed Huson’s warning. The Unist’ot’en clan recently entered the national spotlight after receiving reports that RCMP officers were amassing in nearby towns to undertake a massive arrest procedure. Subsequently, the BC Civil Liberties Association wrote a letter to the RCMP, noting police action “would be disastrous and would not respect the constitutionally-protected Title and Rights of the Unist’ot’en, as well as their rights under the Canadian Charter of Rights and Freedoms.” Hundreds of individuals and organizations, including the Union of BC Indian Chiefs and the federal Green Party, have declared support for the clan. On Tuesday, RCMP officials and the Unist’ot’en clan’s attorney met to discuss a complaint filed by TransCanada about supporters of the clan who had blocked the company from accessing the Chisolm Forest Service Road. Police said they were looking to speak to the two supporters present at the time of the incident, which was recorded in a video shared on the clan’s Facebook page. Pictured at their base in Smithers, B.C. While the RCMP has publicly denied any plans to “take down the camp,” in the Tuesday meeting police officials argued they have grounds to arrest anyone who blocks the Morice River bridge, and would not confirm or deny that hundreds of officers were brought into the area in response to the Unist'ot'en camp. The Morice River crossing, long controlled by the Unist’ot’en, is coveted by pipeline companies. Police and the Unist’ot’en remain in dialogue, and Saturday the clan filed a police report regarding the most recent encounter with TransCanada. Meanwhile, the camp remains on high alert. 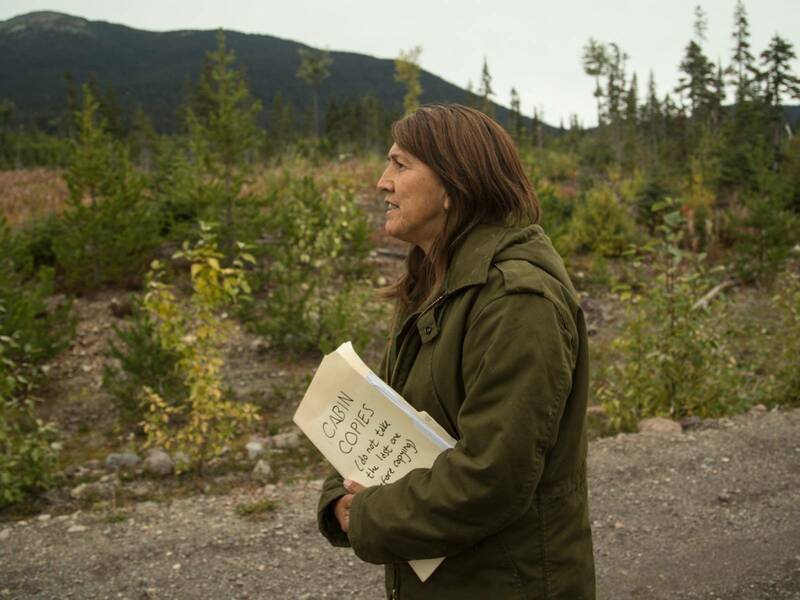 Huson believes that industry and government are strategizing together to see the pipeline projects pushed through her clan’s ancestral lands. “We know you guys are trying to instigate something here,” she added. Marc Cooper, spokesperson for TransCanada, confirmed the incident, telling Ricochet by email, "Our personnel and local Wet’suwet’en participants were asked to stop work and leave and they made the decision to do so. Our crews are being accompanied by local Wet’suwet’en and others to help us ensure their cultural and historical resources are identified, respected and protected."